The Summer Shower is designed with efficient 4-ply construction containing an insulator panel, which helps generate warmer water faster. This premium quality shower comes with an easy to use ON/OFF shower head and an extra large screw cap valve makes filling easy. Just simply roll up shower after use for easy and compact storage. It's an ideal product for camping, fishing, beach fun, sailing, or on your next hiking trip! An ultimate outdoor shower experience with Summer Shower! Absorbs energy from the sun to create a hot shower. Enjoy a hot shower in the great outdoors with this convenient camping shower from Advanced Elements. 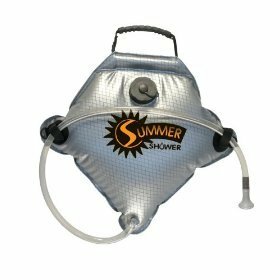 Designed to heat water fast in the warm sun, the shower is ideal for camping, hunting, fishing, hiking, or trips to the beach. The durable, four-layer construction includes a reflector panel, an insulator panel, a solar panel, and a water reservoir along with diamond rip-stop fabric and a water temperature gauge. The shower head is simple to operate and can be turned on and off to save water. The extra-large filling valve features a twist-off cap, and the wide, rubber handle make the shower easy to carry. Velcro straps hold your soap, shampoo, wash cloth, and other toiletries. When you're done with the shower, simple roll it up for storage. The shower has a capacity of 2 1/2 gallons and weighs 12 ounces when empty. Advanced Elements warrants its products to be free from defects in material or workmanship for a period of one year from the date of purchase, or 90 days for Friday Harbor brand products. Products that prove to be defective under conditions of normal and proper use during the warranty period because of defective workmanship or faulty material will be replaced or repaired without charge. For warranty service, contact Advanced Elements. Nearly 10 years ago Advanced Elements was started by two inventors with the desire to bring to market a new type of inflatable kayak: a "hybrid" of inflatable and rigid components that performs like a rigid kayak, but is portable, lightweight, and affordable. Today the company offers more than 70 different products to customers worldwide. It continues to push the innovation and evolution of the inflatable kayak with new patented designs that use unique combinations of materials and components. The people at Advanced Elements believe that their boats are the very best combination of quality, performance, and price in the world. They feel that it is extremely important to make sure that customers are having the best experience possible. One of the ways they do this is by a passionate focus on customer support. It is the feedback from customers that has allowed the company to excel and continue to grow over the years. The Advanced Elements distribution center and offices are located in Benicia, California, just east of San Francisco. This is also where you will find the company's excellent customer service team that is ready to answer any questions you might have. The Gravity Multi-Fuel stove has great stability with folding,low profile legs. Can be used with both LP canisters orliquid fuels like White gas, Clean unleaded gas, Kerosene, oreven Diesel fuel. comes with stuff sack, windscreen anda heat reflector. 9.2 oz. Does not include a fuel bottle. 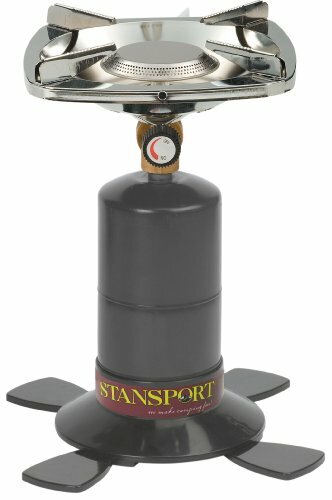 The Stansport Single Burner Propane Stove has an anti-clog burner and 10,000 BTU's. It's 7.5" diameter grid will support most pots and pans. Regulator has an On/Off control knob. The Dura Base with tip-resistant feet holds a 16.4 oz disposable propane gas cylinder (NOT INCLUDED). The Single Burner 10,000 BTU Propane Stove from Stansport is designed for stable and efficient outdoors use on backpacking and camping trips. 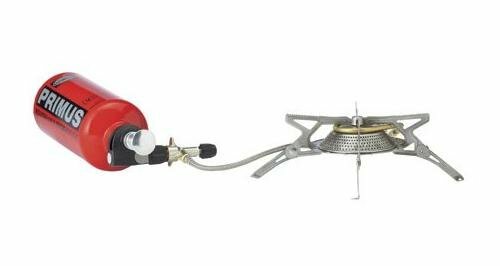 The stove features a 7.5-inch diameter grid for stability with a DuraBase and tip-resistant feet that hold a 16.4-ounce propane gas cylinder (sold separately). The heat output is easy to control with a regulator control knob and the chrome-plated, anti-clog burner grid is designed for easy maintenance. A key alpine accessory designed for our Exposure packs but also will work with any of our Excessory compatible packs. Large zip access and an HDPE sheet keep the points away from your pack fabric and a zippered slash pocket provides storage for parts. Sure, there's no kitchen sink, but the Kitchen 23 includes just about every utensil you need to fix a meal in the great outdoors. This all-in-one, 23-piece kitchen set comes with a bunch of handy prep tools, including a Glacier Stainless whisk, a Glacier Stainless grater, a 9.5-by-6-inch cutting board, and two 2.3-ounce squeeze bottles that are ideally sized for your secret sauces. Serving your meals is easy thanks to the telescoping spoon and spatula, which break down for more efficient transport. The Kitchen 23 set keeps your salt and pepper safe and free of clumps thanks to the waterproof salt-and-pepper shaker, which is integrated into a single package for space-saving convenience. The set even includes a 12-piece silverware set for your meals, with four knives, four spoons, and four forks. And cleanup is a breeze thanks to the scrubby sponge and camp towel. No more cleaning up with your T-shirt or paper towels. 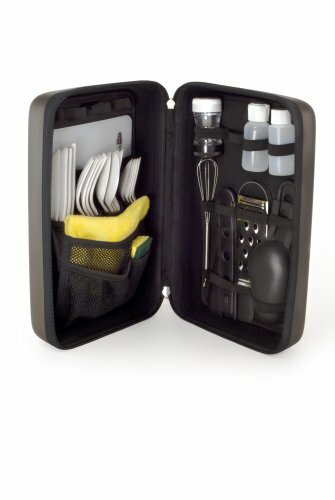 The Kitchen 23 set stores inside an attractive carrying case made of closed-cell EVA foam. 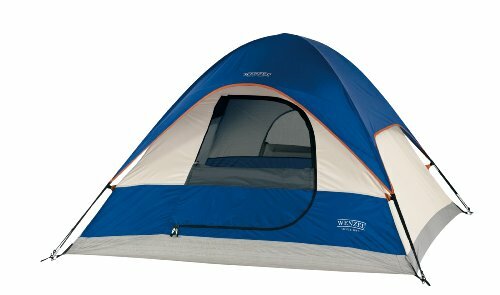 Keep your load limber during long hikes and extended cycling excursions with the Wenzel Ridgeline dome tent. Large enough to sleep three people at once yet compact enough to fit conveniently on a backpack or saddle bags, the tent is ideal for all types of camping and conditions. The Ridgeline includes such features as a Dutch D-style door for easy entry, along with a shock-corded fiberglass frame and pin-and-ring system that for quick and easy setup. Campers will also appreciate the Weather Armor polyester fabric, polyurethane coating, and sonic-sealed tub-style floor, all of which are reliably rugged and resist leaks of all kinds. The window, door, and roof vents, meanwhile, do a nice job of ventilating the tent and controlling morning moisture. 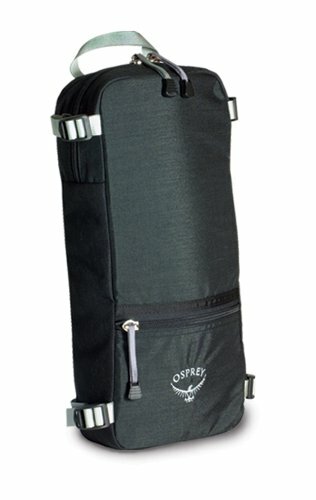 Additional details include double-stitched, lap-felled seams that provide a shingle effect against water; water-repellent threads, zippers, and webbing; a hooked fly that increases weather protection; a gear loft and hanging pockets for easy-access item; and a handy storage duffel. The Ridgeline caries a 10-year limited warranty. 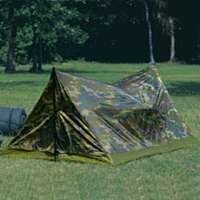 Easy to set up camo tent. A proper collection of camping gear begins with your tent, and this compact model from Texsport offers a comfortable night's sleep for two campers, at a great value. 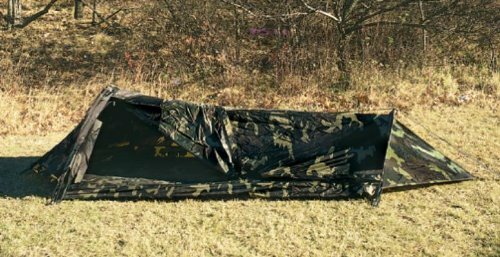 The Camouflage Trail Tent measures 54-by-38-by-84 inches (W x H x D) and features easy set-up and take-down. Ruggedly durable taffeta material has a water-resistant polyurethane coating and is flame retardant to C.P.A.I.-84 specifications. Its classic pup tent design is accented by a tub-style polyethylene floor constructed of water- and boot-proof ripstop material, and a zippered mesh rear window with storm flap for optimal airflow. 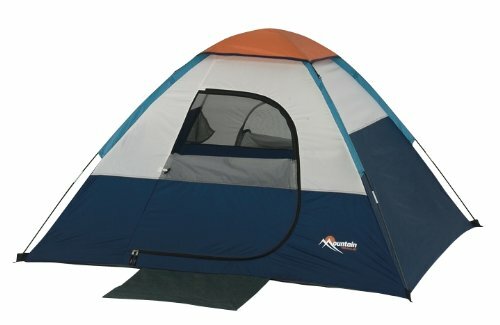 The tent comes complete with stakes and a convenient carrying and storage bag. Size is 90'' L x 45'' W x 24'' H.
The Chicco Smart Support Backpack is a comfortable way for both you and your baby to travel together. The lightweight aluminum frame, shoulder straps and waist belt gives you the proper support you need while freeing up your hands. The ventilated fabric keeps your child and you comfortable while out walking.